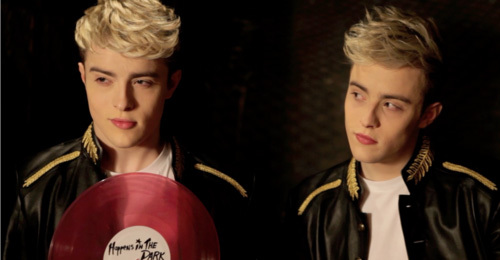 Jedward represented Ireland at Eurovision in 2011 and 2012 and now release their new single “Happens In The Dark” on April 1st – no joke! To prove the point, they have released the video for the song. The song is the fourth track to be released from their successful album “Young Love”. The video was shot in Toronto, Canada, and not for the first time the brothers filmed the video themselves – Kudos guys! Even though Jedward are not participating at Eurovision this year – and we miss the fun that we had with the guys – they do have a connection with the Irish entry this year. Many people will know that Stuart O’Connor of Spotlight Productions, has been responsible for many of Jedward’s highly successful tours and Christmas pantomimes over the years. This year Stuart is the mentor of Ireland’s Eurovision representative Ryan Dolan, who will be performing the song “Only Love Survives” in Semi Final 1 on May 14th. Speculation is abound that Jedward may have something to do at Eurovision 2013 and the twins were questioned on it after their Melodifestivalen performance in Sweden a couple of weeks ago. What could it be? Jedward had been following Melodifestivalen in Sweden and were commenting weekly on the songs and style – as we would expect from them. They took to the stage in a “sing off” against presenters Danny and Gina with their 2011 Eurovision Hit “Lipstick”. We think Jedward won that “Duel”. What do you think?